Any possible doubts that Far Right Extremist Group PegidaUK are simply The English Defence League reborn, can be confirmed from this tweet. Just a few short weeks ago, as 'leader' Tommy Robinson (who co-leads along with Anne Marie Waters of Ukip) posted this. 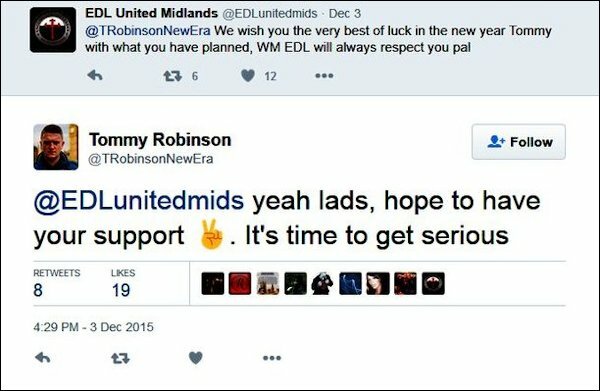 And there was us thinking Tommy had 'cut all ties' with the English Defence League. Clearly not, indeed, he welcomes the support of a group he left, voluntarily, due to it's extremism, public drunkeness, criminal behaviour and racist chanting. Remember, this is the new 'reformed, peaceful, reasonable' Tommy Robinson. However that quotation, and that sentiment, comes straight from his days of leading the English Defence League - the dreaded spectre of 'Forced Repatriation'. His co-leader, Ukip's Anne Marie Waters, has yet to comment on this. Her struggle to muzzle or house-train Tommy is failing. 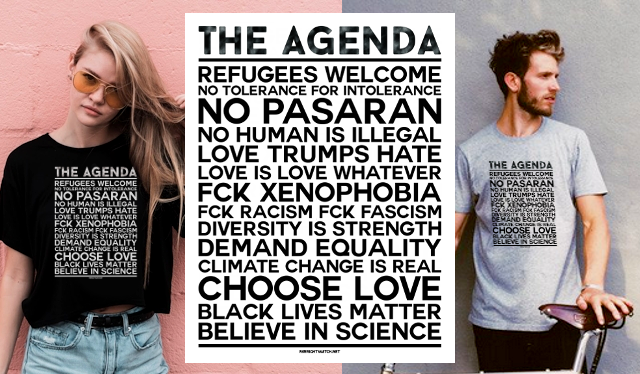 Clearly this weekend's PegidaUK 'Silent March' in Birmingham will tell us whether PegidaUK is indeed (as they claim) a peaceful pressure group ... or just another bunch of drunken Neo Nazi thugs intent on Hate. We suspect the latter. "New Era", eh? Looking suspiciously like the 'Old Era'. From an article on IndyMedia - @IndyMediaUK on Twitter.